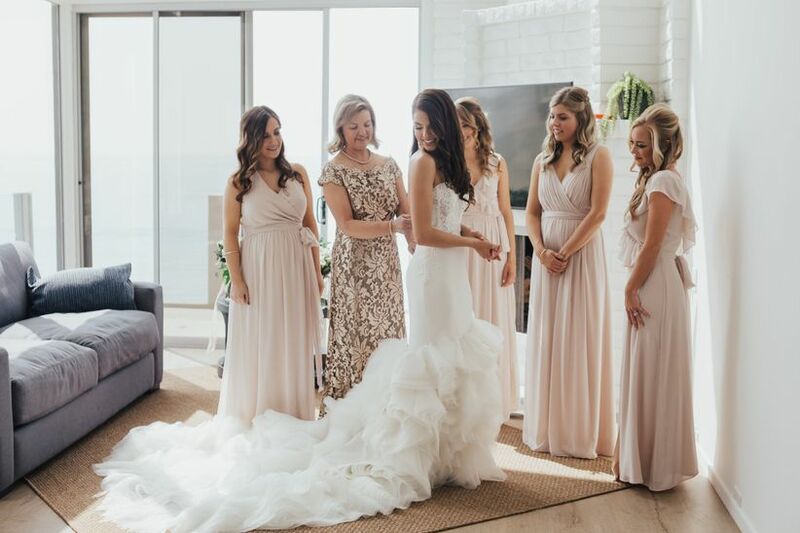 From the moment you buy your wedding dress, your top concern is keeping it in pristine condition—not just for your big day, but long after. Wedding gowns are expensive, after all, and they hold a great deal of meaning for most brides. That’s why many research how to preserve a wedding dress. While you can certainly take it upon yourself to clean and preserve your dress, most experts recommend getting it cleaned professionally. 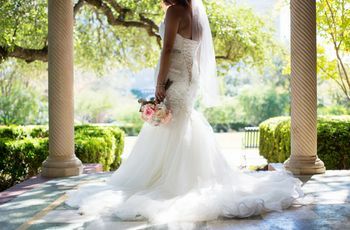 “Wedding dresses can contain many hidden stains (white wine, sugar, and other clear spills) that professional cleaners and preservationists can catch,” says Caitlin Fitzgerald of Prevue Formal and Bridal in La Mesa, California. These spills can often oxidize and stain as they age, so catching these before is crucial to keep the dress’ integrity. If you’re considering letting the professionals handle this important process, here’s our advice on how to preserve a wedding dress. Before heading to the wedding dress preserver closest to you, do your research on how to preserve a wedding dress. Get recommendations from friends and family members who may have found a high-quality preserver they trust and search online to read reviews. “When choosing a company, look for keywords like ‘guarantee against yellowing,’ ‘museum-quality materials,’ ‘free inspection before the gown is placed in preservation chest’ and ‘acid-free’ instead of ‘acid-neutral,’” suggests Kathy Kimmel of Kimmel Wedding Gown Preservation and Restoration in Upper Sandusky, Ohio. Before the cleaner goes to work, the two of you will likely go over the gown in search of stains. 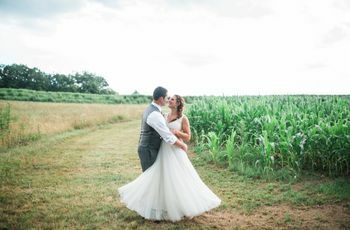 “Be sure any buttons on your gown are in place and your zipper is working properly,” says Sally Conant, executive director of the Association of Wedding Gown Specialists and owner of Orange Restoration Labs, in Orange, Connecticut. “Let down your bustle and look carefully at the places where your bustle was attached to the gown, as very often these places, called bustle points, are torn when someone steps on your gown on your wedding day.” She also recommends checking to see if any beading or other decorations are secure and whether any other repairs are needed. To make sure all the stains have been removed to your liking, your preserver will likely have you come in to inspect the gown again. If your preserver does not tell you to do this, request it so you’re sure you’re happy with the results. Some cleaners will pack your gown while you are there to watch, but others will do so on their own. In any case, the next most important part of a preservation is the materials in which your gown is stored. It’s best to use acid-free paper to buffer the folds of the wedding gown as it is packed, as well as for the wedding chest itself, explains Conant. Otherwise, the acidic content in ordinary paper and paperboard will scorch your gown as though you left a hot iron on it. “Do not settle for a pH-neutral wedding chest, either, as in any damp environment, a pH-neutral wedding chests can turn acidic,” she adds.